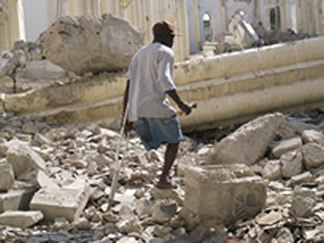 On January 10, 2010, Port-au-Prince, the capital city of Haiti, was hit by a devastating 7.0 earthquake. In a matter of seconds, as many as 300,000 perished. This was the deadliest natural disaster in recorded history. Most of the victims were buried under tons of concrete and stone as hillsides gave way and poorly constructed buildings collapsed. In the aftermath, medical and rescue personnel from around the world answered the call for help. 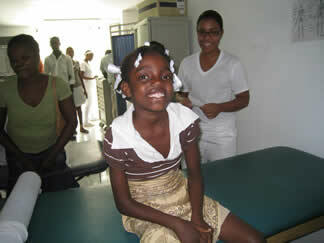 Haiti's medical infrastructure was decimated, the faculty and student body of its medical school were wiped out. An unprecedented population of amputees was created as crushed limbs were removed under primitive medical conditions. 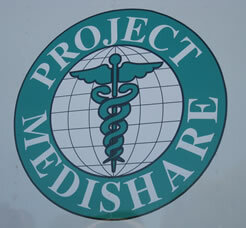 A non-profit organization named Project Medishare, run under the auspices of the University of Miami medical school, had been providing assistance in Haiti before the earthquake. They were perfectly situated to be the first on the scene, establishing a field hospital at the airport which operated until May 2010, when the operation moved to a more permanent home at Hospital Bernard Mevs. Bernard Mevs is now the only critical care and trauma center in the country. Volunteer doctors, nurses and physical therapist continue to donate their time and skills in an effort to improve the lives of the Haitian people and to train Haitian practitioners to take over the delivery of medical care in their own country. I have had the honor of volunteering with Project Medishare three times since the earthquake and it has been truly life-changing. This work has been some of the most fulfilling of my life. I look forward to continuing my association with this very worthy organization. The Haitian people are hopeful and resilient. They are in dire need of our continued support. You can learn more at www.projectmedishare.org . Your support of this very worthy program would be greatly appreciated.